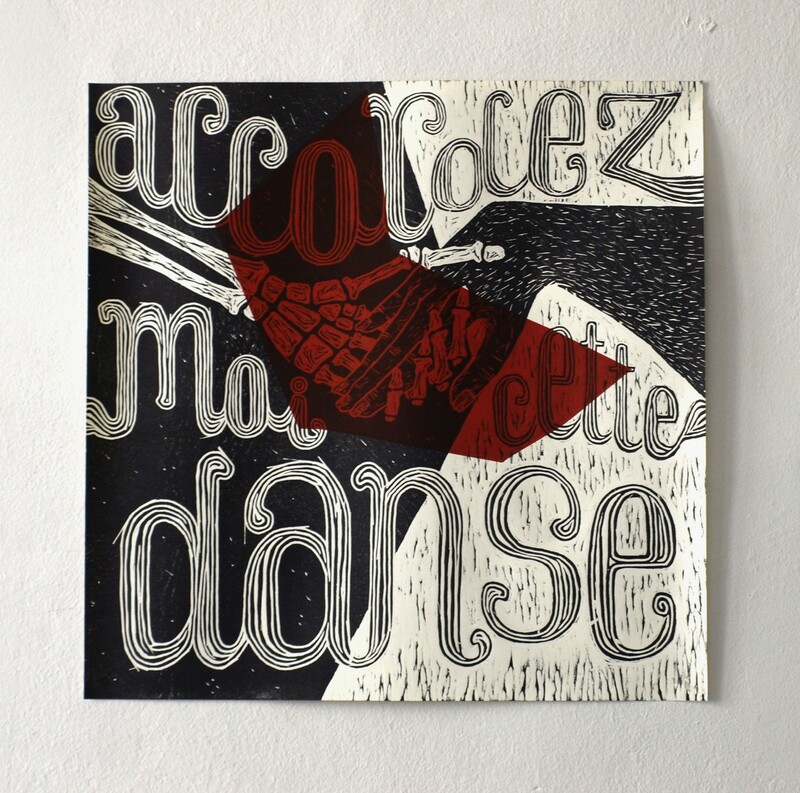 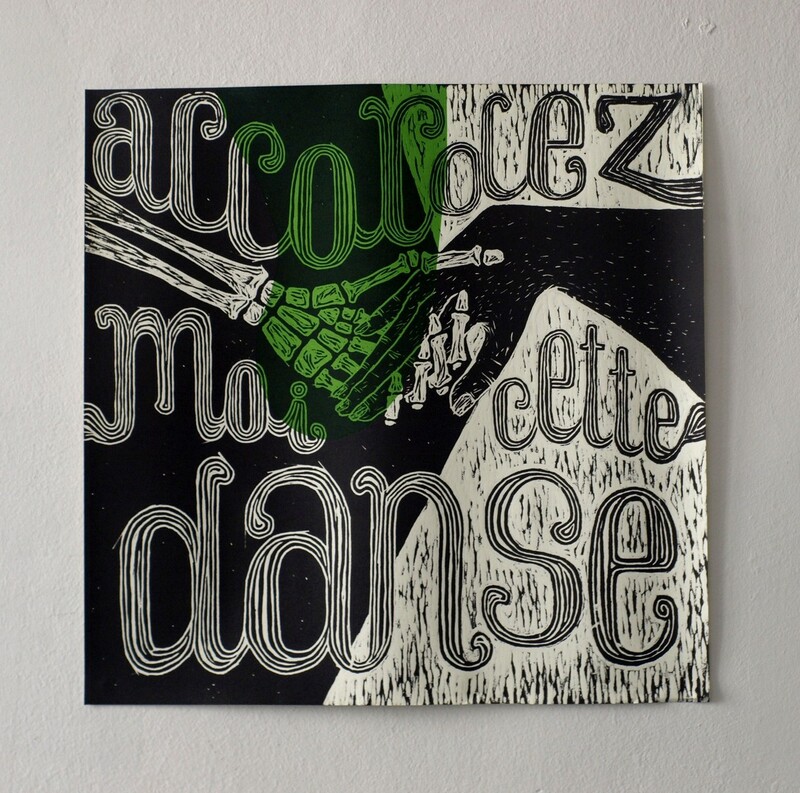 « Danza Macabra » is a woodcut project initiated by Sébastien Esteban Desplat in Quadrat 9, a printing workshop diriged by Alain Chardon. 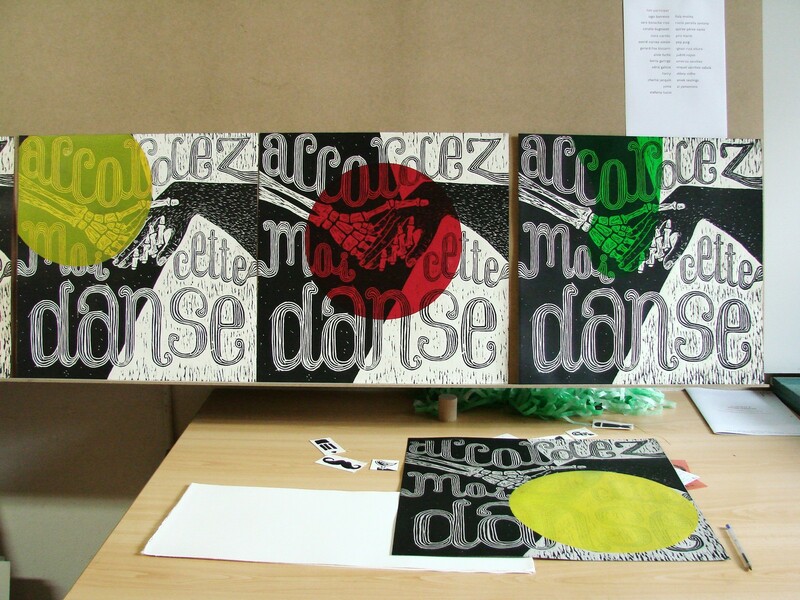 During 3 months, each participant had a 50x50cm wood board on which he had to engrave an illustration related to Danza Macabra. 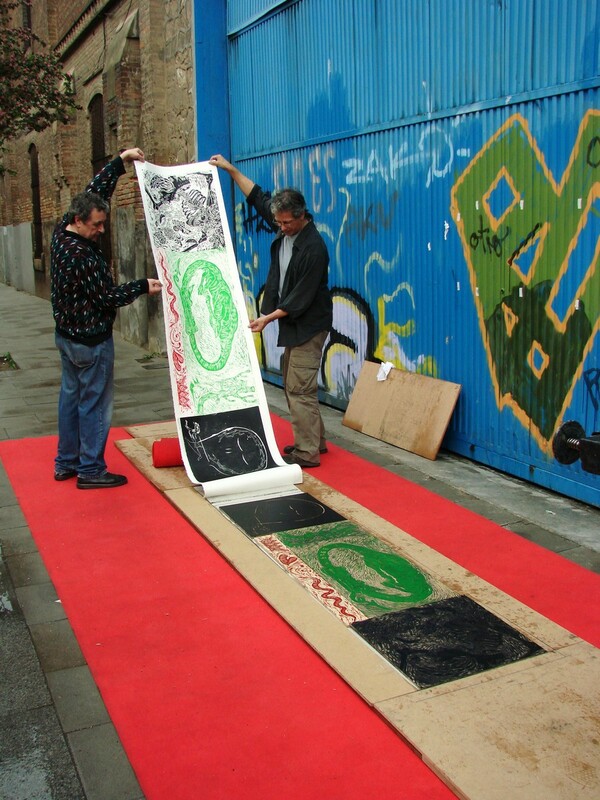 During the Workshops Opening Doors in May 2013 in Poblenou (Barcelona), we realized a giant impression of the 54 boards on a 100 meters cotton paper. 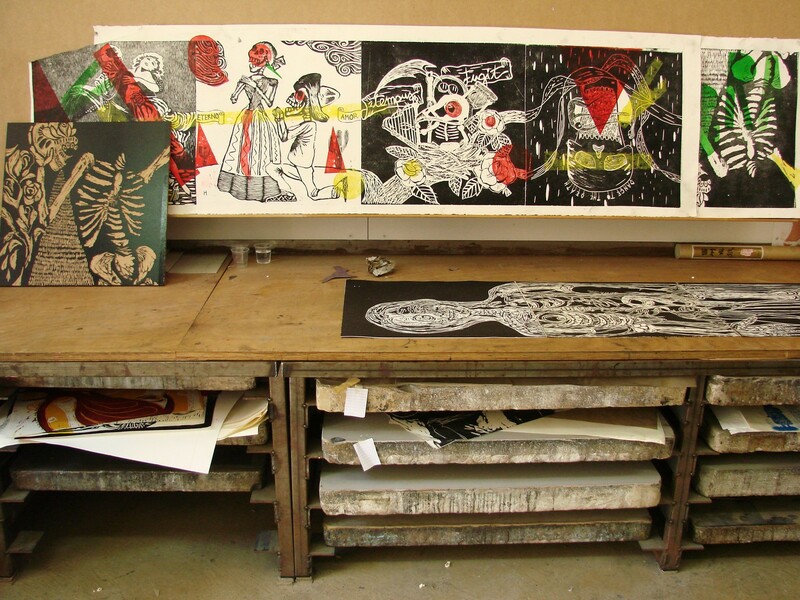 It resulted a giant « exquisite cadaver » exposed during the event. 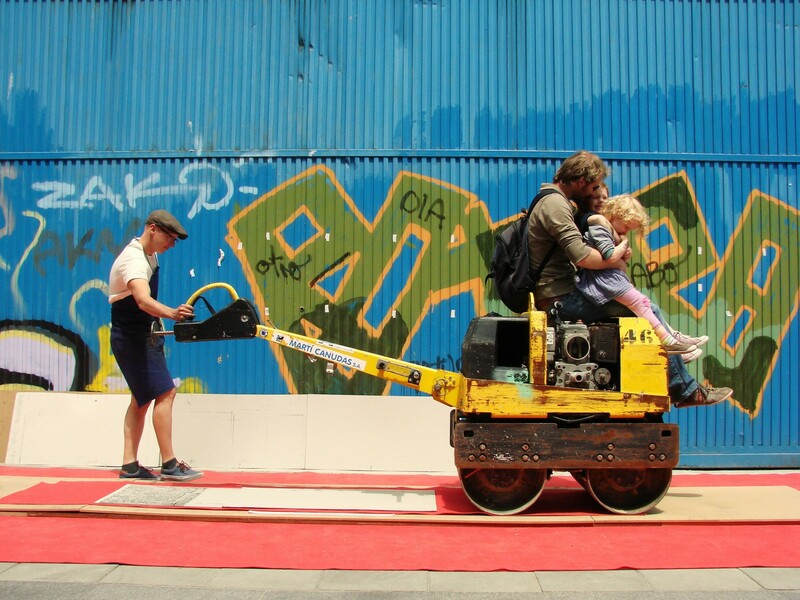 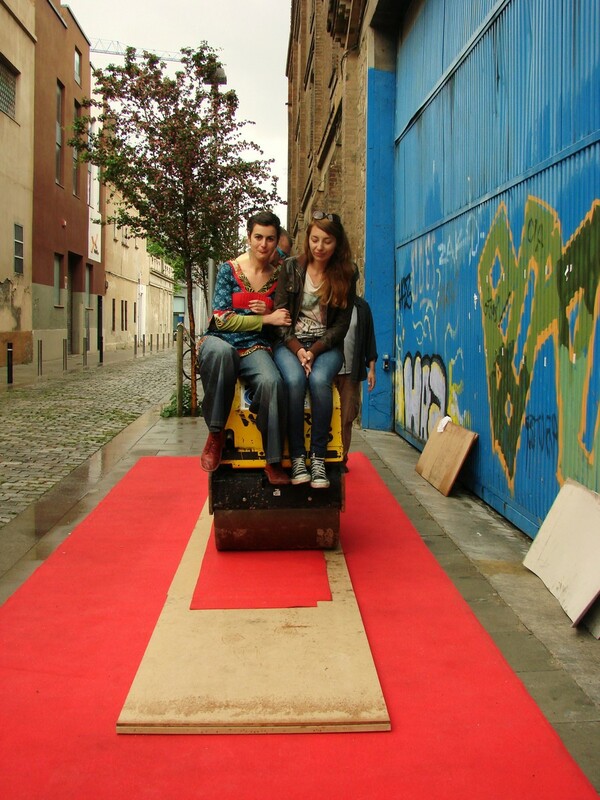 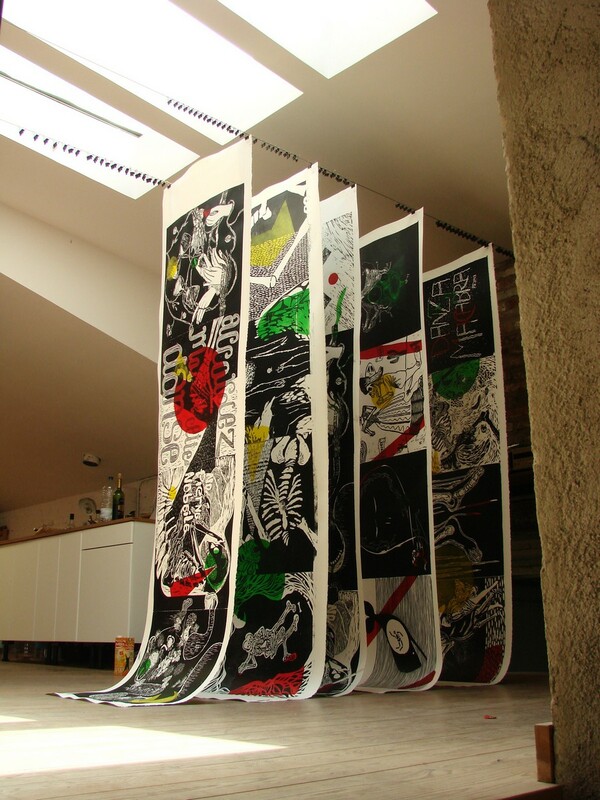 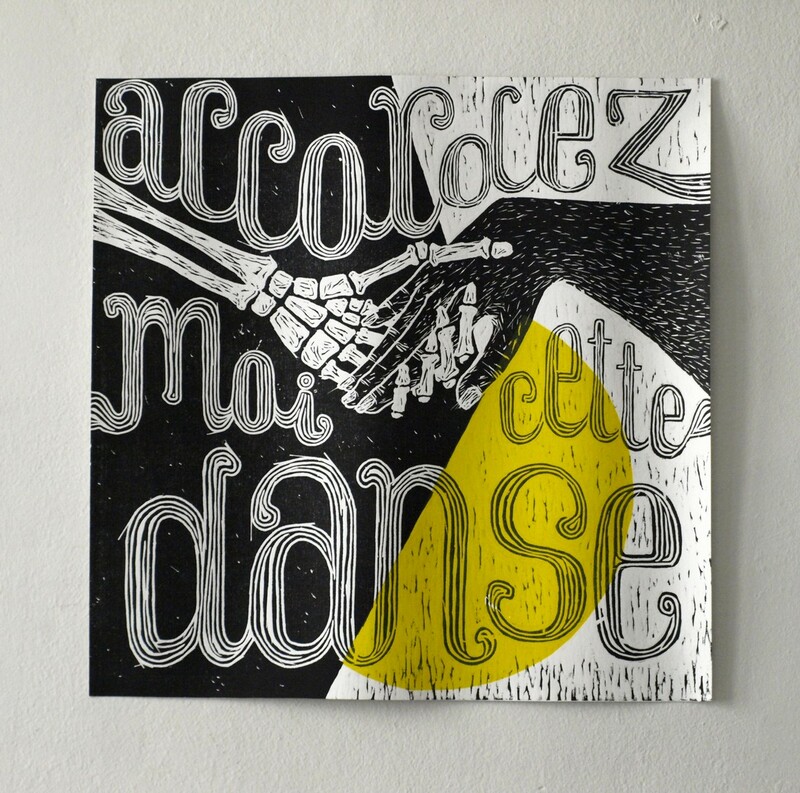 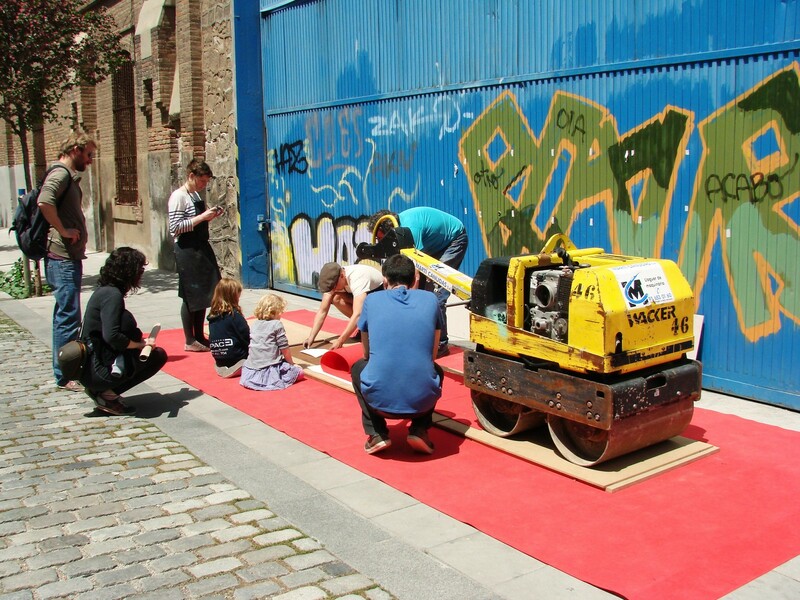 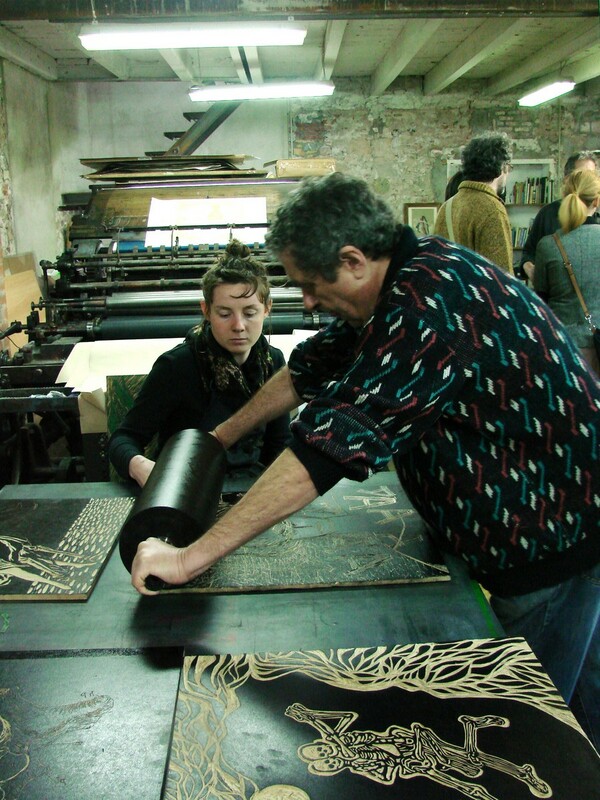 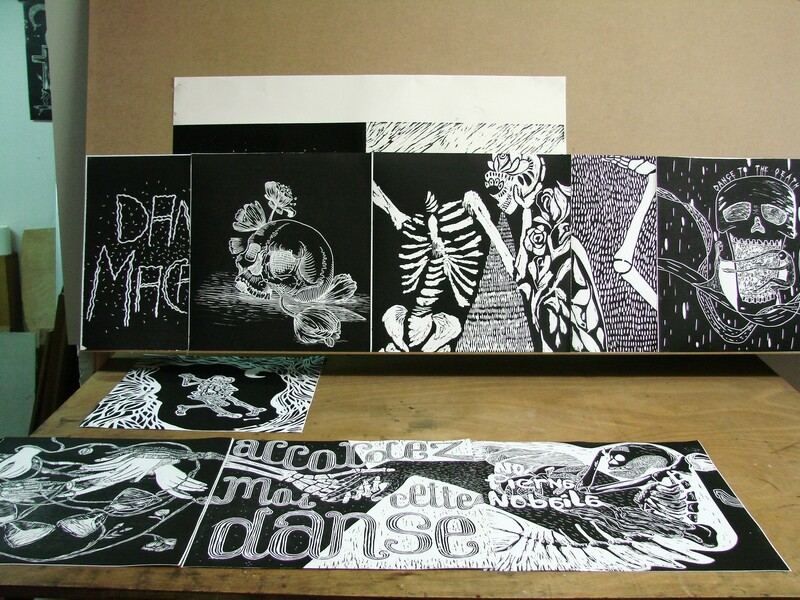 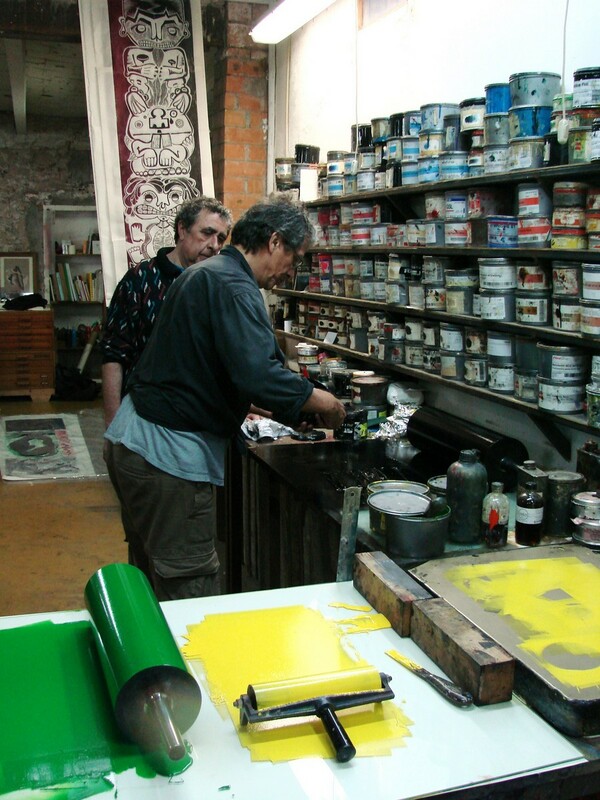 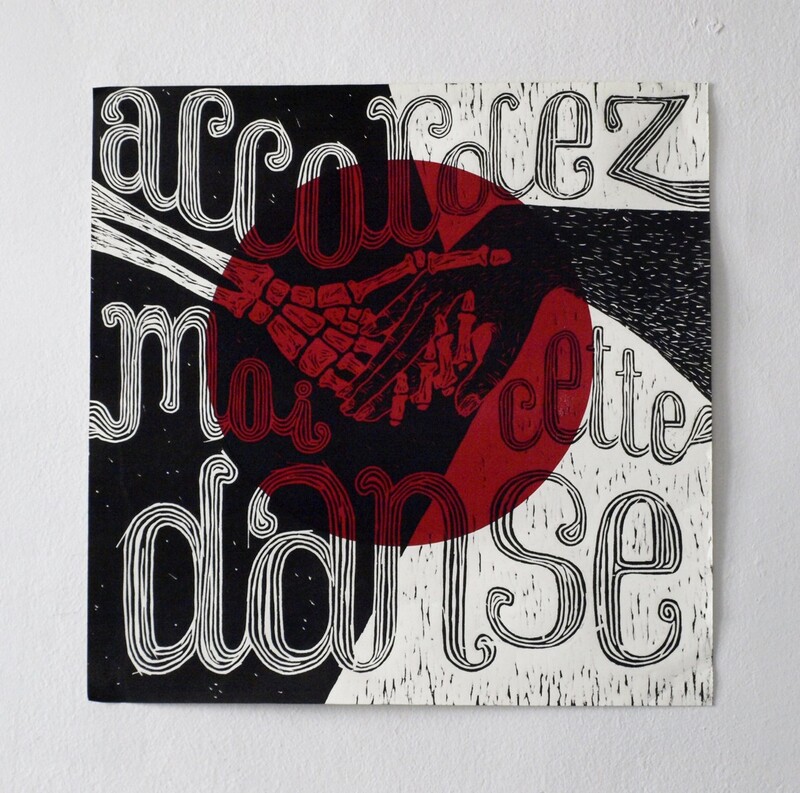 « Danza Macabra » woodcut workshop led by Sébastien Esteban Desplat & Alain Chardon, Poblenou – Barcelona, may 2013.